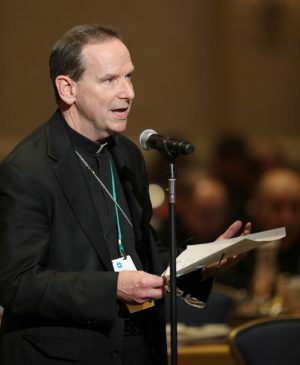 ARLINGTON, Va. (CNS) — Arlington Bishop Michael F. Burbidge called on Virginia Gov. 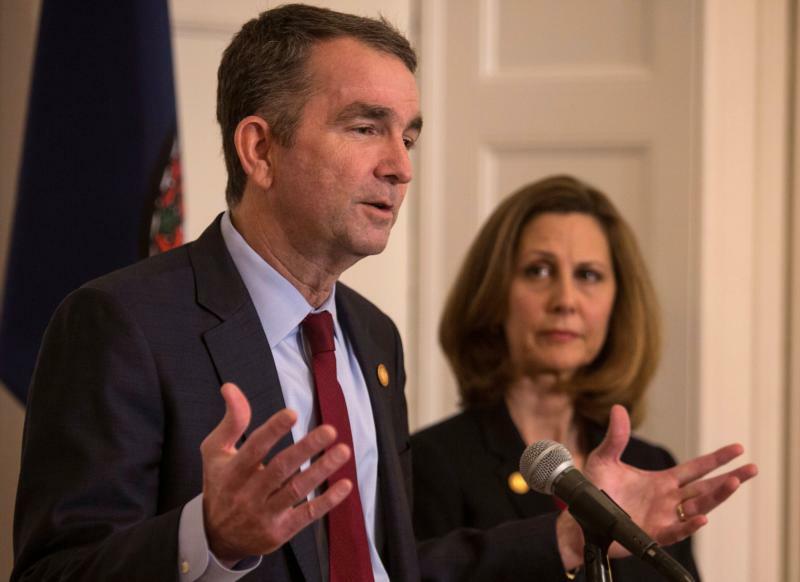 Ralph Northam Feb. 2 “to do what is best to restore the trust and confidence of the people in our leaders” after a racist photo from the governor’s 1984 medical school yearbook emerged a day earlier. “In recent days, the commonwealth of Virginia has witnessed public officials, including our governor, make callous statements ignoring the dignity of unborn children and jeopardizing the safety and protection of those even in the process of being born,” Bishop Burbidge said. “Now, with the extremely disturbing photos in Gov. Northam’s medical school yearbook, we see another offense against the dignity of human life — the sin of racism,” he said in a statement. Calls for Northam, a Democratic, to resign came swiftly from all quarters, including from leaders of his own party, after the photo first appeared online. It shows one person in black face and another in Ku Klux Klan garb on a page labeled “Ralph Shearer Northam” from his Eastern Virginia Medical School yearbook. Other photos show him in a jacket and tie, in casual clothes and alongside a Corvette. Northam has refused to resign. On Feb. 1 he apologized, calling the photo “clearly racist and offensive.” He said he was sorry “for the decision I made to appear as I did in this photo and for the hurt that decision caused then and now.” The governor did not say which of the two people pictured was him. By mid-morning Feb. 2 he was saying he was not in the racist photo and reiterated he would not resign. At an afternoon news conference in Richmond at the governor’s mansion, Northam told reporters he will not resign and said: “I intend to continue doing the business of Virginia.” He added that he feels resigning is the easier way out. He reiterated his latest claim that he was not one of the two people in the racist photo, but recalled that at some point he had impersonated pop icon Michael Jackson. In his earlier statement Northam said the behavior shown in the yearbook photo “is not in keeping with who I am today and the values I have fought for throughout my career in the military, in medicine and in public service.” Northam, a former pediatric neurosurgeon, was an officer in the U.S. Army Medical Corps from 1984 to 1992. According to CNN, many of those calling for Northam’s resignation before his news conference said afterward they still feel he should resign, including lawmakers who make up the Virginia Legislative Black Caucus. In addition to this why wasn’t there mention of the abortion law that was proposed in Virginia & he as a pediatric was defending it. The only news media that mentioned it was Fox News (which seem most fair to Catholicism). Saddened to see it not mentioned here as I feel many Catholics are not aware of this.